Double Olympic champion Mo Farah and high jumper Ruth Beitia have been announced as winners of European Athletics ‘Golden Tracks’ awards for 2016. Max Hess and Nafissatou Thiam received the ‘rising stars’ awards at the same awards ceremony in Funchal, Portugal. 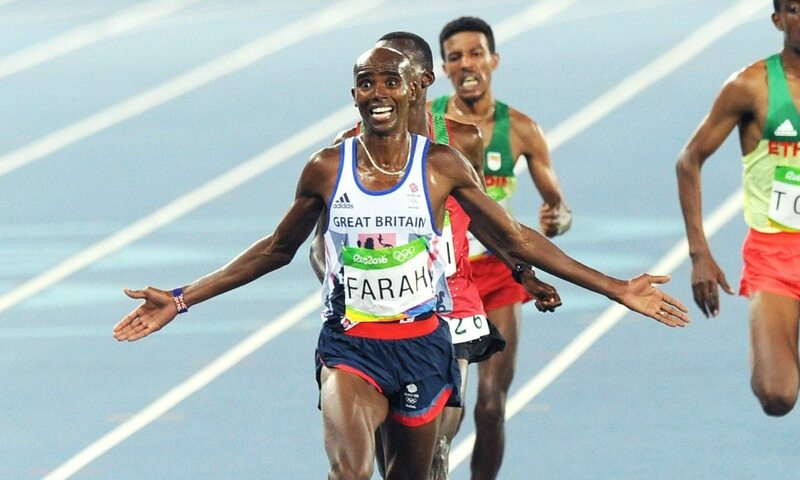 Farah, who defended his 5000m and 10,000m titles in Rio, was chosen ahead of the two other nominees, Italian high jumper Gianmarco Tamberi and German javelin thrower Marcus Rohler. He also received the accolade in 2011 and 2012 and it follows another stellar year for the world’s greatest track endurance runner. As well as topping the world rankings at 5000m and 10,000m, he was third in the IAAF World Half Marathon Championships. He was European No.1 on times at 1500m, 5000m, 10,000m and half-marathon. Beitia, at the age of 37, added the Olympic title to her world indoor silver and European outdoor gold from earlier in the year and was beaten just once in 12 outdoor competitions. The Spaniard was picked ahead of Polish hammer thrower Anita Wlodarczyk, who set two world records as well as winning the Olympic title. The other athlete in contention was Greek pole vault champion Ekaterini Stefanidi. They take over from Greg Rutherford and Dafne Schippers, who won the awards in 2015. Belgium’s Thiam received her honour after becoming the surprise winner of the Olympic heptathlon title at the age of 21. Also shortlisted were British sprinter Dina Asher-Smith and Croatia’s Olympic javelin champion Sara Kolak. Hess of Germany took the equivalent men’s award after winning the world indoor triple jump silver medal in Portland with a personal best of 17.14m and adding the European outdoor title – all before his 20th birthday. Also on the shortlist were Britain’s Matthew Hudson-Smith and Norway’s Karsten Warholm. The winners were decided by counting votes from the public, media, European Athletics member federations as well as an expert panel, with the results from each group of voters counting for one quarter of the athlete’s final score.